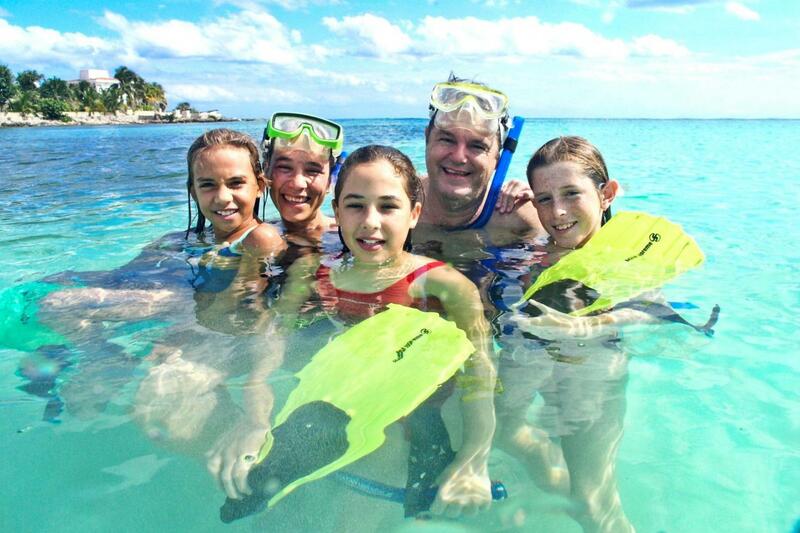 Snorkel between coral and colorful fish at the best sandy beach around! 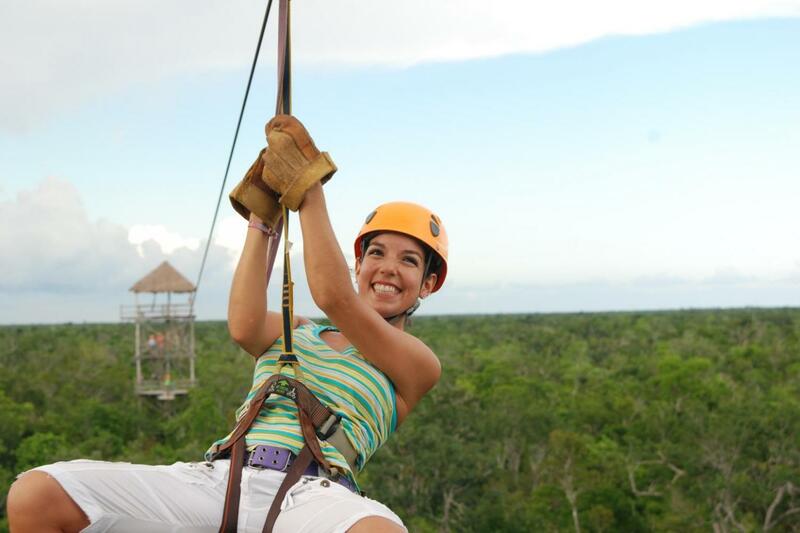 Fly 21 meters (70 feet) above the jungle canopy on a thrilling zip line ride! 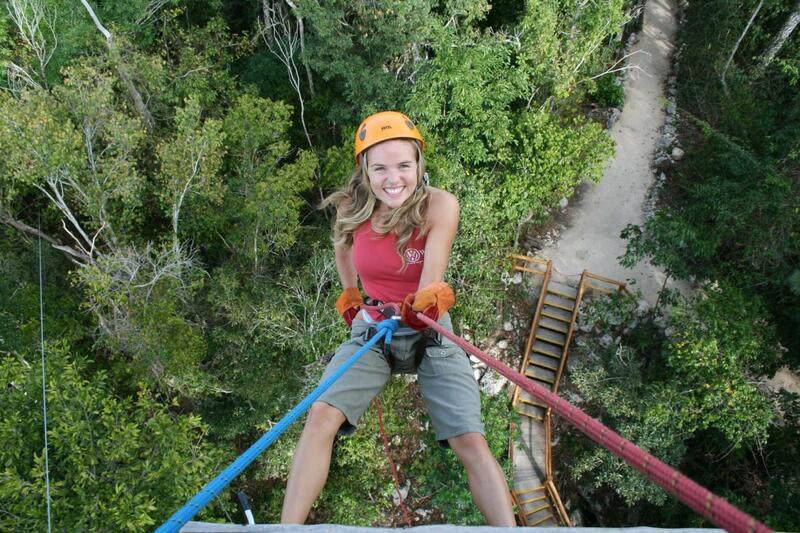 Test your tenacity as you rappel 21 meters! 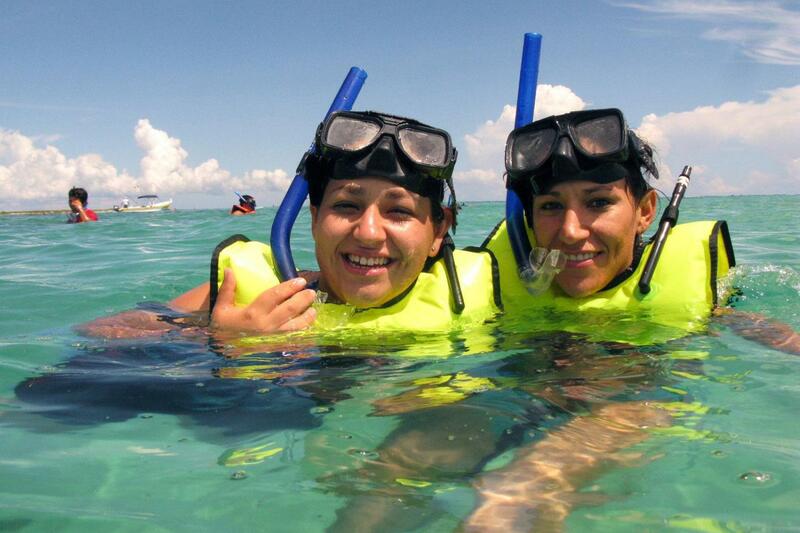 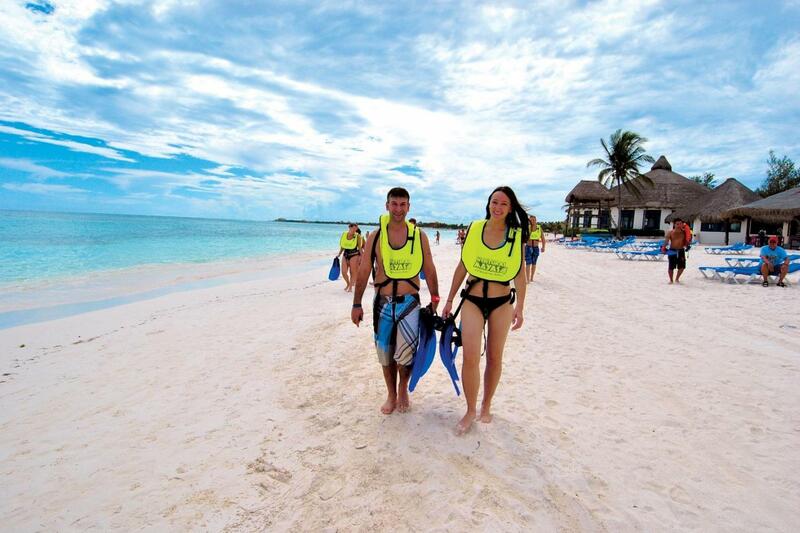 Surprise yourself with Mexico´s biodiversity and snorkel into the turquoise waters of the Mexican Caribbean surrounded by exotic marine life, coral and colorful fish while you enjoy the best sandy beach around. 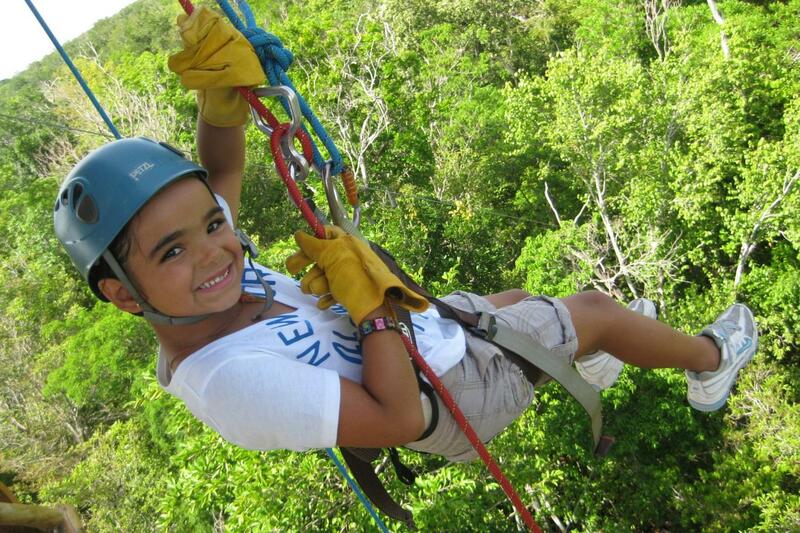 Fly above the jungle canopy on a thrilling zip line ride! 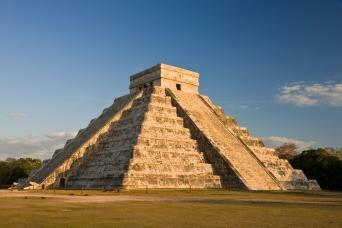 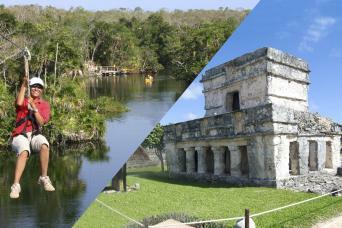 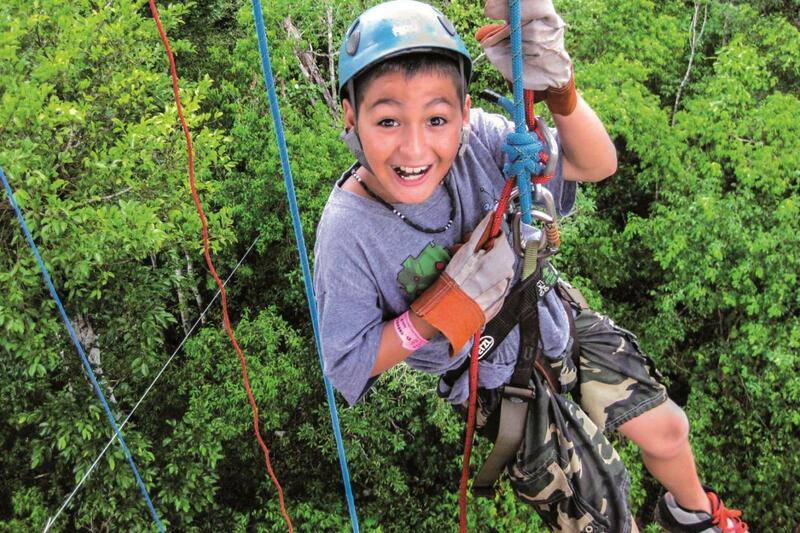 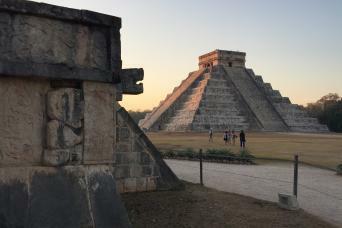 Test your tenacity as you rappel into the Mayan jungle and explore a stunning cavern in the middle of the jungle.